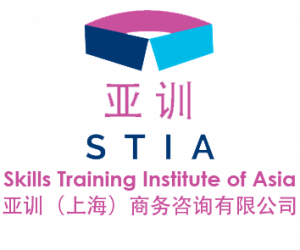 STIA creates digital training content for all stakeholders in the China senior care sector. It includes comprehensive content for training the caregivers in the sector. It is designed to instill customer centered care service. Our content is based on top international standards, and have been 100% localized for China with the right eye-level for the user groups. Our content is to provide practical skills training and information rather than procedure focused memorization. We have comprehensive caregiver training content. Other examples are Nutrition management for Diabetes, Nutrition management for Healthy Heart, Daily Exercise videos, Home safety tips. We are the only provider of comprehensive “Memory Care” content in China. Our content is visual, engaging and interactive to engage all learners regardless of their education background. They are all short 2-5 minute video based content. To train tens of millions of caregivers in a country that is vast, and where the learners come from various rural areas, we believe in utilizing technology to build the capacity and increase efficiency in learning. We believe in going a step further than the traditional e-learning concept of moving off-line content to on-line. Using digital technology, user engagement, and social media, we bring learning result that is much higher than the traditional e-learning. This section covers all essential basics for general caregivers who work with seniors who are in Assisted Daily Living (ADL) situation. 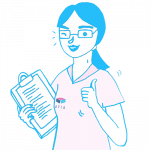 It also covers other essentials including ethics, communication skills, building empathy, preventing infection, and essential first aid procedures. 50 random assessments from our question bank are included. 亚训STIA is preparing a national level “Dementia Awareness social campaign” with some of the major key opinion leaders in the society. It is planned to be launched in the beginning of 2019. Founder Mathiesen has been invited to speak at the Dementia Assessment seminar organized by Shanghai Mental Health Center. 亚训STIA has entered an agreement with a leading US dementia care specialist nursing home operator Watermark to conduct joint online-offine training in the China market. Founder Mathiesen spoke at the “Ladies Who Tech (LWT) 1st Annual Convention” on the 2nd of June, 2018, Healthcare breakout session. Community care specialist. Pilot at a model center in Xuhui District. Proposal submitted to the SH Government (project includes caregiver training and senior exercise program). Purpose: To create an efficient online/offline program for official Certificate Training Program for Shanghai Government. ; Runs 6 official training schools for the SH Certificate system. See the feedback from this project below. Founder Mathiesen organized and moderated a panel discussion. On March 27, 2018, AmCham Shanghai’s event on “China Senior care – now and future” with industry leaders. The event was jointed organized with the Real Estate Committee and Healthcare Committee at AmCham. November 2017 – 亚训STIA founder Nayoung Mathiesen (郑那泳) was invited a Panel speaker on “Innovation in China Senior Care Sector” on 22nd November, 2017 at KPMG Innovation Center in Shanghai. Event was co-organized by KPMG, IAHSA (China Association of Homes and Services for the Ageing), HCD (Healthcare Drink) Senior Care Group, Shanghai Oxford-Cambridge Society. It was a successful event with participation by150+ industry leaders and investors.